New Music Wednesday is back! This week, Avery*Sunshine’s – “Sweet Afternoon ” is the featured record. A link to the song is below. After checking out the new single, vote in our BedLoo poll. If you’d like us to play this record more, click the green check. If it doesn’t quite float your boat, hit the red X. Have you been to the church of Avery*Sunshine? This candid philosophy fits perfectly in a social-media-driven world that’s forced even the most secretive entertainers to open up. While much of it seems staged (is everyone that perfect? ), Avery’s always been frank-the girlfriend and single mother of two who’ll offer not just real, but relevant talk. That breakup? She’s been there. Stressful days? (See: “Today”). Give her self-titled debut a spin (it was released independently in June 2010 and licensed in the UK, Europe and South Africa) and you’ll see. It’s organic. Soulful. Therapeutic. Every Avery album will be. Or you could call it truth. 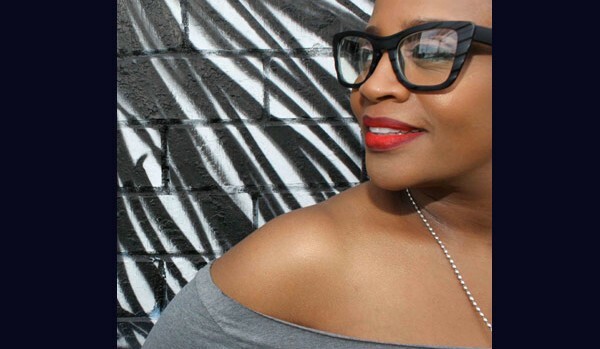 After all, those feel-good tunes have helped plump her portfolio with accolades including a turn as choral director on the theatrical production of Dream Girls,” featuring Jennifer Holliday. Her videos “All in My Head” and “Ugly” landed heavy rotation on Music Choice, VH1 Soul and Centric. And she’s toured with Ledisi and shared the stage with Kem, Musiq Soulchild, Eric Benet, Rachelle Ferrell, and the legendary B.B. King, among others. “Ugly Part of Me” also graced the Top 15 on the Urban Adult Chart via Media Base. By 13, Avery had earned a gig as choir director at the Immaculate Heart of Mary Catholic Church for $175/hour. Dreams of being a corporate lawyer turned into faded pictures when she realized music was tugging harder post-college (she was a piano major at Spelman College). With over 200-plus reviews and features, including VH1.com, Vibe.com, BET.com, JET, USA Today, The Washington Post and more, Avery has made her presence known. Expect an encore with her anticipated sophomore project, to be released in 2013. These days, with a divorce behind her and loads of life experience, Avery finds solace within the melodies. Listeners will draw inspiration and strength from her lyrical sermons. “We really do look at it as a ministry. It’s a simple ministry, though,” says Dana. “On the debut record, there were a few songs that looked at what people might consider touchy or awkward and poked fun so people can say, ‘I tcan relate to that.’ It helps people connect to a very common, human element.” That’s where the SHINE begins.